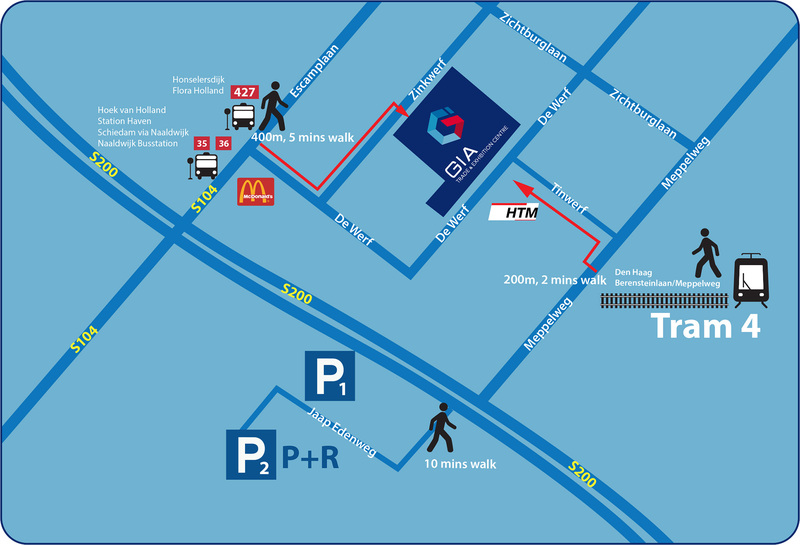 GIA Trade & Exhibition Centre is easily accessible by public transport. Tram 4 in the direction of De Uithof stops almost on the doorstep. Step out of tram at Beresteinlaan / Meppelweg and walk along the ROC Mondriaan School to the entrance of the Venue. On your request we also provides shuttle services. Coming by car? Take the A4 exit 12 Den Haag-Zuid and follow your route on the N211. Turn right at the Escamplaan and immediately turn right into De Werf 11. The Venue has 160 parking spaces. Nearby is plenty of free parking spaces or you can park at De Uithof in The Hague.